Managing a convenience store is no easy task. Between scheduling, ordering, stocking, and ensuring customer satisfaction, employee training and certification can quickly become a daunting task. With that in mind, PASS has developed a solution to help. Our platform allows your employees to quickly and easily manage trainings, while also giving you full visibility into their progress. We also offer flexible payment options that allow owners to purchase on behalf of their employees, or give them the option to pay individually. Even if you’re just looking to train yourself and/or a few employees, PASS Training can help. Our system is built to cater to businesses of all sizes, giving you access to only the information and tools you need. PASS Training makes it easy for companies which own and manage multiple facilities. Our software goes beyond just a training system. It allows users to manage information across multiple facilities, providing full visibility into your company’s testing and training progress. 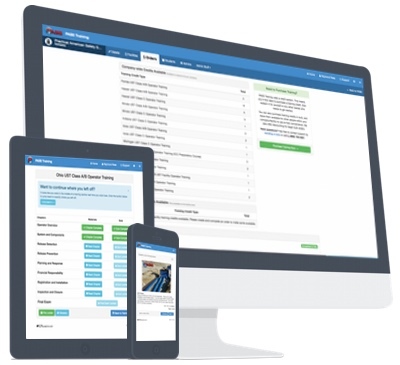 The PASS Training platform keeps track of each state’s unique training requirements, taking the guesswork out of what your employees’ needs are. Our content is also approved in more states than any other training provider. Check out our state-specific training page for more details, or contact us. What Sets PASS Training Apart? These days, one UST operator training program seems much like another. While PASS training courses cover the same federally mandated and state required content, these ten differentiators place PASS far above other training providers. PASS draws on over ten years of industry experience to offer the highest quality UST operator training content. We are continuously researching, reviewing, and revising to offer you the clearest, most up-to-date content possible. PASS offers the most cost-effective training in the industry. Our training is priced at $150 per A/B and $10 per C and we offer a 10% Best Price Guarantee. In addition, PASS will not make you purchase a course again if you fail the exam or if you do not complete the course within a specified time frame. PASS training courses employ a combination of text, image, and narration to provide a multi-faceted experience for diverse learning styles. 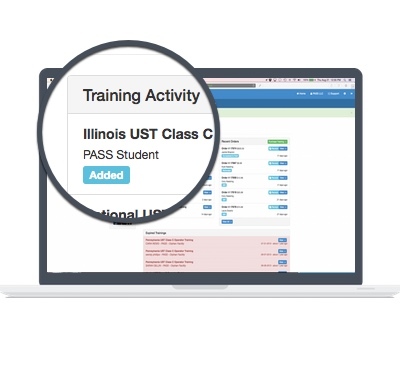 PASS is the only UST operator training provider using an in-house designed and built learning management system (LMS).  PASS is committed to making our courses available to as many people as possible, and our courses are approved in more states than any other UST operator training provider. You can take a PASS course anytime on any internet-connected device. You can stop and start your training according to your schedule, and our system will prompt you to pick up where you left off. As the only International Code Council (ICC) approved training provider, PASS is committed to helping operators prepare for the ICC UST operator exams. PASS has consulted with several states to help them develop their UST regulations, and we continue to consult with state regulators to keep abreast of regulatory changes. PASS offers post-training support by allowing operators post-certification access to course materials while their certification is valid. PASS uses 128 bit encryption and conducts regular update cycles to secure your data. The PASS LMS is built on fully-scalable cloud architecture, using 128bit SSL encryption. It is fully PCI Level 1 Compliant.